Usually cPanel information and login details are emailed out to users, however there is a much easier way to login to cPanel through your client account with HostOX. Once logged in, look for My Services in the navigation like below. You will then see the list of services, like below. Click on the service you want to login to cPanel for, you will then see a page with links to the left hand side like below. 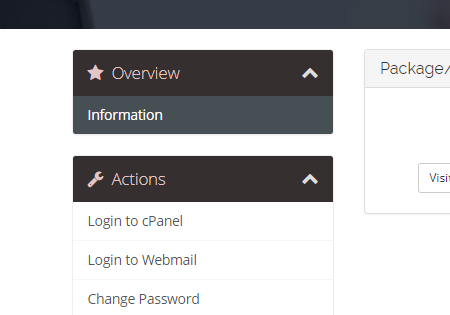 Click login to cPanel and you will then be taken to the control panel for your website(s). This entry was posted in Getting Started and tagged access cpanel hostox.